Thrive Architect is a WordPress page builder from Thrive Themes. 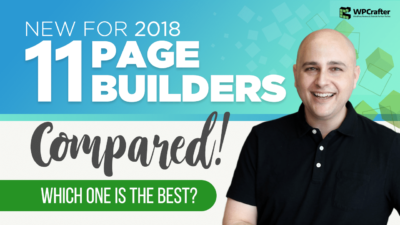 It’s their next generation page builder that replaces Thrive Content Builder. It is ideal for any website build, but also really shines for marketers because of its marketing focus. Being that Thrive Architect is an upgrade to Thrive Content Builder, there have been some upgrade issues that people have experienced. So right now I really don’t recommend upgrading from Thrive Content Builder. So far easy to use, but some of element just don’t work right. It can be quite frustrating. Disappointed that this and other reviews didn’t detail how sluggish a site built with TA will be. $97 down the drain for me because unfortunately I built my site with TA over a month long period and then started looking at optimization for SEO for which a big factor is loading speed. Beyond awful. Just pathetic. 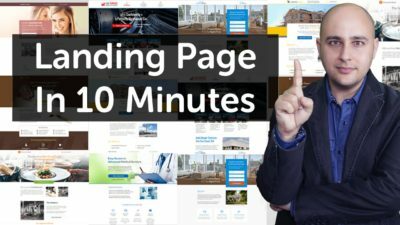 I have no chance of bringing my site within reach of 1st or 2nd page of Google. My home page has 5 pictures, a Google Maps link, text, and some basic backgrounds. When looking at the html of my page it blew me away. About 5 times the size of a similarly laid out site I built 8 years ago using Yahoo Page Builder (which isn’t exactly built for speed). I get F’s and D’s in speed tests and that’s after huge reductions in image size using TinyPNG (a great compression tool – probably the best) and using W3 Total Cache. My old site home page was 118 KB. My Thrive home page is over 2 MB. Now I’m going to start from scratch and leaning towards using GeneratePress with no page builder. So Thrive is a farce. All their claims of being lightweight is a farce. I get it – they are a business and the bottom line is money and I got sucked in primarily by all the great reviews by bloggers including this one. Adam, you have some great information on your site and I’ve watched many videos but I have to say you blew it on this one. That’s not being caused my Thrive Architect. Usually what you think is the problem is never the problem. You are misunderstanding so many things in your comment, it’s hard to respond to everything. TA is great bet the support is horrible! No answers from them on important problems. Purchased TA a few days ago after seeing your comparison and review videos and I have to say I’m struggling a bit with it. Mainly due to the inability to add simple shortcodes, I use adsense and a plugin called shortcoder so that I can easily change all ads on all pages in one go if required. When I add in a shortcode to a wordpress element I can no longer save the page, created a support ticket on the 6th and 4 days later we’re no closer to resolving it. I also had an issue with a responsive affiliate script that was not responsive on TA pages, I had to put this in a wordpress content element rather than a custom html element for it to work which seems odd. I’ve also had issues with the “reverse column order” tick box that did nothing on mobile sites until I recreated every single column on the page and then it started working. There’s also some obvious elements missing, things like a dedicated shortcode element, an image carousel so that we can have changing images at the top of a page without having to use a bloated slider plugin, pricing tables, flip boxes and others too. Global elements would eliminate the need for a shortcode plugin and would also be very handy. The main thing that’s worrying for me is that I’ve seen a number of threads in the support system that have taken a while or have ended with a conclusion that another plugin is incompatible which to me is unacceptable for a page builder as a page builder needs to be able to play nicely with all other plugins that the site uses and the fact that they seem to be washing their hands of issues is troubling. To me TA feels like a product that’s still in development, the bits that are there are good and work well, there’s bits that need adding and a lot of bugs still to be squashed. Let’s hope they can improve their support and get some of these other elements added quickly. I’m off to try Elementor and see if that’s any better for my needs. I wonder if some of the issues are due to caching. Do you know if you have a caching plugin running on your website? This is a really helpful video. Thank you. I really like TA and Thrive BUT I got so frustrated as the landing pages are not usable if you need to keep your header and footer from your theme. I ended up cancelling over this. I really hope they urgently put it back so the templates and landing pages go in UNDER the header and above the footer! I am thinking of usign Astra and TA. I assume I will keep my header and footer if I just use TA and ignore the other thrive things? It actually never worked like that, keeping your theme’s header and footer. I have encouraged them to have this as an option, but they have been slow to implement it. Thanks heaps for this overview! I am looking for a plugin to create landing pages for my website. How can I be sure TA is going to work with my current theme? I’m not techy AT ALL and not 100% sure what questions to ask to be sure? It works with any theme, literally. 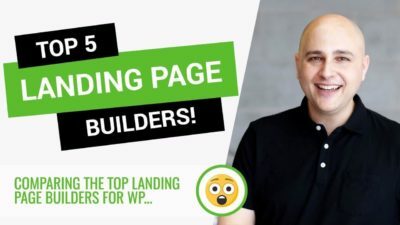 When you use it to make a landing page, it will not be using anything from your theme. Also they have a return policy, but I can tell you upfront that it will work fine. Hi there. 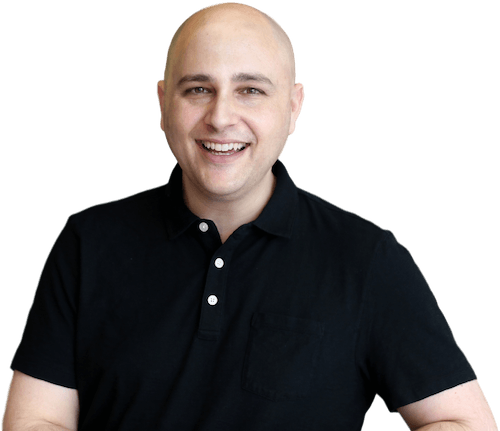 I ran Thrive Content Building for ages on 7 sites. I upgraded as we are always advised to ‘for security reasons’, no Thrive Architect doesn’t work on any of my sites! Every time I click the ‘Edit in Thrive Architect‘ green button, I get taken to the home page of whichever site I am trying to work on. This is so frustrating as the Vendor tells me my support has now expired. It’s hard not to feel cynical about this. They will provide me with another year of support for $40. Has anyone else had this issue? What’s the fix? I tried disabling all but the Thrive plugins, this didn’t work. I also changed my themes in case that was the issue, this also made no difference. Any advice gratefully received. Yes, they have always provided 1 year of support and lifetime updates. A new year of support for $40 is a pretty fair amount. I would suggest 2 things, check the PHP version and try v7. Also, you can try disabling all of your plugins and see if it then will work. If it doesn’t then you know its a plugin conflict, and start activating your plugins one by one to find the culprit. Hi Adam. As I mentioned above, I had already tried disabling all the other plugins; I still had the issue. I seem to have found a fix though! If I try to work on a draft page (after saving it of course), I have this issue. However, if I ‘Publish’ the page, it works! I can then make it private again and TA then continues to work. Curious. Dear That sound great ,but…You say you saw and pay a lot for stupid programs which do not work..I wonder why you do not get free trial for at least 3 days ,if your program is so grat i can not imagine that you can not make free trial. Today on every place are just fraud,and that is realy sad . Most have return policies so you can try it out and get a full refund if it’s not for you. I think that is more than fair. Oh, wow, my comment has already been taken out of public display and into moderation. So much for not filtering comments! I don’t filter comments, but when you start responding to other people in a negative way, they receive an email notification. If you are going to respond negatively to someone that becomes a problem. My “negative” comments were about Thrive Architect and the problems I’ve had with it, NOT about any people. I recommended that people avoid TA and gave specific reasons why they should. These were carefully considered, valid, rational reasons from an experienced TA user. I have a copy of that post and have re-read it and, no, there is nothing negative about anything except TA. Your removing my negatives comments about TA is the text book definition of filtering! Did you read anything I wrote to you? I said I will not tolerate YOU responding to EXISTING comments in the manner that you are doing and explained why. If you are not happy with TA and choose to leave a comment, sure that is fine and I have allowed that from many people 100% unfiltered. But you choose to take that too far and started responding to existing comments triggering emails to be sent to them. I will not tolerate that. I’ve been chomping at the bit to buy Thrive Architect from all the glowing review sites, and then I see the actual “user” reviews, which for the most part are 180 degrees from the site reviews; like yours. This is has been common with this product. And so I have to wonder: is the commission influencing the honesty or were you truly unaware of all these bugs? I have two questions: It’s now Jan 31, 2018 – is it still broken? If yes, perhaps you should update the review to reflect a truer review. And second: Are the bugs a result of upgrading (from CB to Architect) such that new users of Architect (not from an upgrade) will not experience these bugs? Well if I was trying to hide anything I would be filtering the comments, but I am not doing that. You have to understand that I am reviewing the product Thrive Architect on it’s own. I am not reviewing the process of upgrading from Thrive Content Builder to Thrive Architect, which is the source of all the negativity you may be reading. If those people STARTED with Thrive Architect their experience would be the polar opposite. And it’s not bugs from the upgrade, it was from converting TCB pages to TA pages. This also had a side negative effect of putting a huge strain on their support staff, however that is mostly resolved now because they doubled their support team. So Thrive Architect was never broken or buggy, it was just that they should have released it as a different product. But if they did that they would have had a whole nother problem on their hands of angry customers. So your darned if you do, your darned if you don’t. Ok, good. That answered my question wonderfully. Learning about these problems from user comments vs a review is not a great experience, as you can imagine. I think that adding the “upgrading from TCB” caveat to the review would be a solid point of reference, especially for new users doing a bit of homework before making a decision. Because note: I didn’t ask other reviewers, so I never would have known! Thank you for the suggestion and I am glad you were willing to post a comment to ask. What theme or themes would you recommend using with Thrive Architect? Until Thrive released their new theme, sometime next year, I recommend the Astra Theme because it is the only WordPress theme designed to work with any page builder. My main man, can I use Elementor to edit any of the Thrive themes or do I have to use Thrive Architect to do that? I’m a bit confused about if page builders are meant to be used only with their own prebuilt templates or if they are universal in nature. Regards. 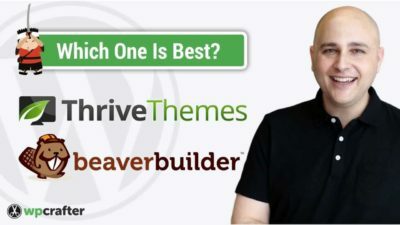 I would recommend not using a Thrive Theme for the time being as they are working on a new theme that will replace all of their existing themes. Make everything more modern. I’ve been using Thrive for a couple of years now, but honestly, I’m ready to give up on it. At first, I was quite pleased with Thrive Architect – although it felt a little confusing at first, I actually prefer the new UI. I was also happy to see the new options to adjust content based on screen size – that always seemed lacking before. Finding issues with pages created in the old version of Thrive was annoying, but I was prepared to put up with it since it seemed like anything created from scratch wouldn’t have the same problems, and they don’t – they have brand new problems. Lists often have issues with spacing on smaller screens, and some bullets will randomly change size. The mobile view in Thrive often looks different to what you actually see in regular browser windows. You can add the same animation to three images next to each other, and one randomly won’t work. Things like padding and text sizes often don’t behave how you would expect them to on smaller screens. Alignment on content boxes sometimes changes on smaller screens. Sometimes buttons and headings don’t scale nicely on smaller screens and cause horizontal scrolling. I’m wasting a lot of time fighting these various issues, and often have to add custom CSS to achieve the desired results. So while I’ve personally recommended Thrive in the past, I’m now considering alternative solutions. Hey Paul, I am really saddened to hear about the troubles you are having with Thrive Architect. Yes, the upgrade was VERY bumpy and the initial release did/does have bugs that will all be worked out, but that doesn’t help you move forward on projects right now. In hindsight, I wish they would not have released this as an upgrade, but given people the option to upgrade, but not pushed it out. Are you still planning to post a tutorial for people wanting to build a website from scratch in Thrive Architect? At one time, you had planned to do this. Yes I am, but it will be later in the year. I had Thrive Content Builder and it was easy to use and straightforward. When I switched to Thrive Architect it was fairly easy to use and the transition wasn’t that bad. What was BAD is their ability to maintain this plugin. The TA forum is constantly filled with tickets requesting support that take multiple hours or even days to address. It is understandable that they have bugs and issues when they release a new plugin but, with Thrive Architect, it is the small updates that cause major problems. Thrive support will tell you that their development team is working on it and then tell you that nothing can be done until the next update. From this, you can probably see the problem. Minor upgrade to fix bugs –> create more bugs –> bugs can’t be fixed until next update –> users wait. Thrive Architect has been extremely disappointing as an overall package. Yes, it certainly has been a bit bumpy for upgraders. I am sure everything will smooth out and the updates I see being released are smoothing things out, but that still doesn’t help when you are having problems. Even though I am a loyal customer having purchased a theme, Thrive Architect and Thrive Leads, after emailing requesting help for this broken element, I receive a reply saying as I am out of the 12 month free support window, they won’t help. This is awful customer service. I totally understand if I was requesting help with something I couldn’t figure out or similar, but I’m not. I need help with a faulty feature on their end!! So i’m left not being able to use Thrive Architect on my review posts as I cannot add WordPress content from other plugins. I’m a very unhappy bunny right now. While I do think it is very fair of them to stick to their business model of 1 year of support and lifetime updates, which is very generous seeing as how just about all WordPress software is sold with 1 year of support and 1 year of updates, I do understand your frustration. I believe it is only $40 to get a full year of additional support. I can say that I haven’t had the issues you are describing. I think it would have been better if they released a way of opting out of updates until the upgrade process was perfected. I have updated from the earlier version of TCB to Thrive Architect when it was released 2 days ago. It has caused nothing but trouble. Messed up alignment of boxes – changed text colour dramatically so many lines are unreadable. I am having to rebuild many elements. I have had NO support from Thrive despite being asked by them to try out this beta version. Not even an acknowledgement of my support request. They have issued two updates in two days. The first had about 10 fixes. This means their declared thorough testing, was not quite as complete as they claimed. This a disaster for existing users. I have many more hours still to spend putting right the elements that have been ruined. Yes, unfortunately, it has been a bumpy upgrade for just about everyone. Sorry to hear about the trouble you have been having. Thrive Architect is great, but if you are updating from Thrive Content Builder, there are some serious issues. There if you upgrade your pages from Thrive Content Builder, there is going to be quite a bit of additional work needed.